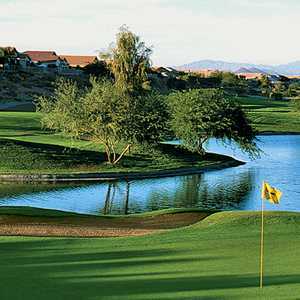 The 18-hole Westbrook Village Golf Club in Peoria, Arizona is a semi-private golf course that opened in 1980. Designed by Ted Robinson, Sr. , Westbrook Village Golf Club measures 6412 yards from the longest tees and has a slope rating of 122 and a 70. The 18-hole Peoria Pines Golf Club in Peoria, Arizona is a semi-private golf course that opened in 1978. Designed by Greg Nash, Peoria Pines Golf Club measures 4292 yards from the longest tees and has a slope rating of 88 and a 59. The 18-hole Trilogy Golf Club at Vistancia in Peoria, Arizona is a public golf course that opened in 2004. Designed by Gary Panks, Trilogy Golf Club at Vistancia measures 7291 yards from the longest tees and has a slope rating of 135 and a 73. 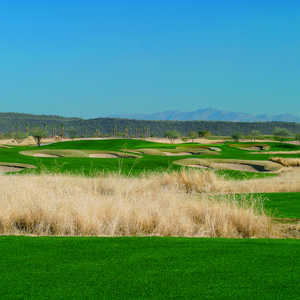 The 18-hole Vistas Golf Club in Peoria, Arizona is a semi-private golf course that opened in 1990. Designed by Ken Kavanaugh, Vistas Golf Club measures 6432 yards from the longest tees and has a slope rating of 119 and a 68.9 USGA rating. The course features 4 sets of tees for different skill levels.